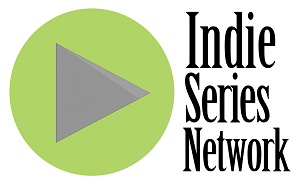 In last week's "Indie Series of the Week" poll, Red Sleep was voted favorite web series for the second week in a row. It's now time to catch up on all the new episodes and vote for your favorite series in this week's poll. You can also cast a vote for your favorite actor, actress and web series couple/duo. Voting ends Tuesday, July 1 at 12 p.m. ET (one vote per person per day). Web series that aired one or more new episodes from June 22-28, 2014 are eligible. If an indie series aired this week and is not on the list, cast your vote as "Other" and write in your choice. - Bushido Man Episode 5 "Knife"
- Chris & Josh Season 2 Episode 8 "World's Greatest Rapper (ft. Emily Williams)"
- Past Meets the Future Episode 14 "Swelling Plans"
- Red Sleep Episode 8 "Memories"
- Youthful Daze Season 2 Episode 13 "Dark Daze"